I’m all about pie these days. It’s the fall food, isn’t it? 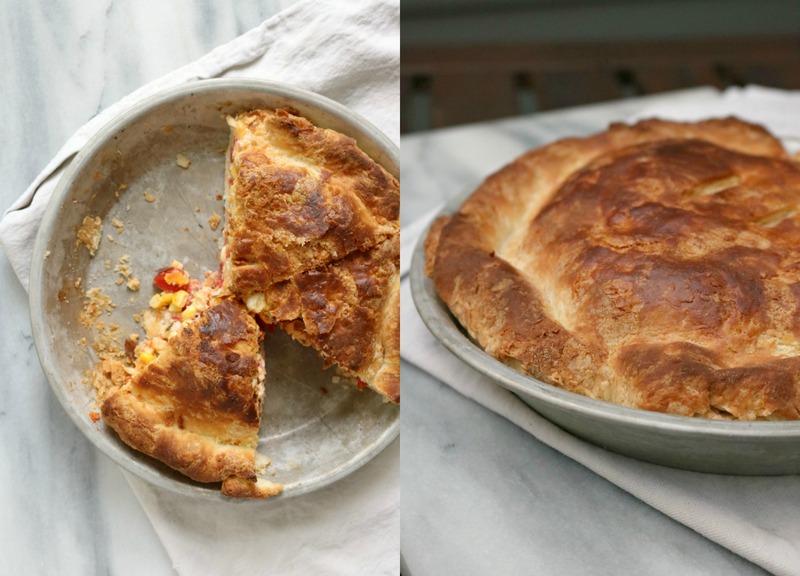 Although it’s time for stone fruit pies, like peach and plum and apricot and cherry and rhubarb (still) and yes, it’s almost time for apple, but while it’s still late summer, with all the ripe tomatoes and the last of the corn, this pie is it. 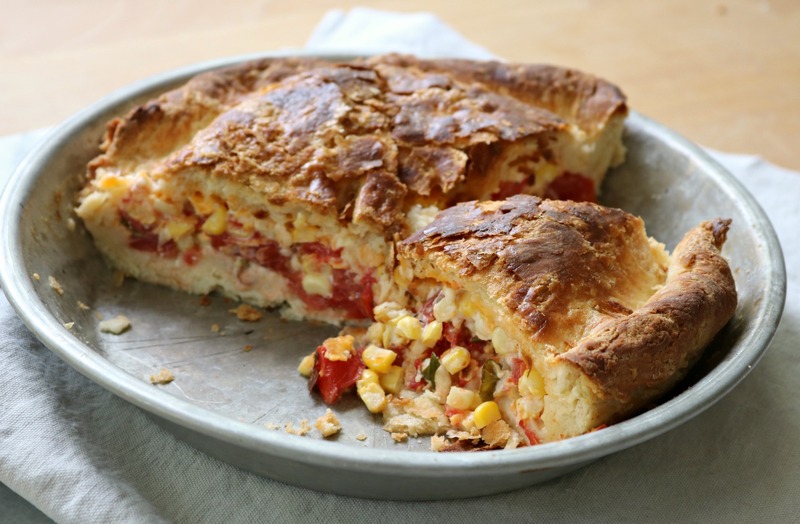 It comes somewhat indirectly from one of my favourite food writers, and it’s really a pie unlike any other – layers of ripe tomatoes, corn, aged cheddar, fresh basil and chives, doused in lemony, garlicky mayo, wrapped up in a buttery biscuit crust, which is brilliant in itself. You roll the biscuit dough as thin as you would pastry, but it bakes up like a biscuit, only thinner. It’s all crunchy top and craggly edges – the more rustic and haphazardly you throw it together, the better. I don’t bother crimping, just tuck and fold the edge over any old way. There are no eggs or anything else to “set” the pie, but it slices beautifully. It occurs to me that you could add sausage or ham or some such, but it doesn’t need it – truly. 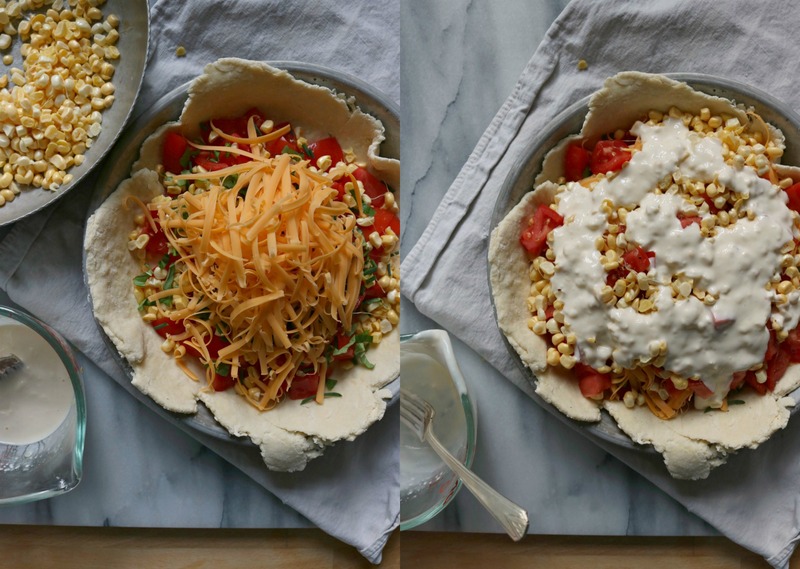 And then you layer – roughly chopped tomatoes (let them sit in a colander in the sink for a few minutes if they’re overly juicy), corn scraped from the cob, torn basil, chives, cheddar. 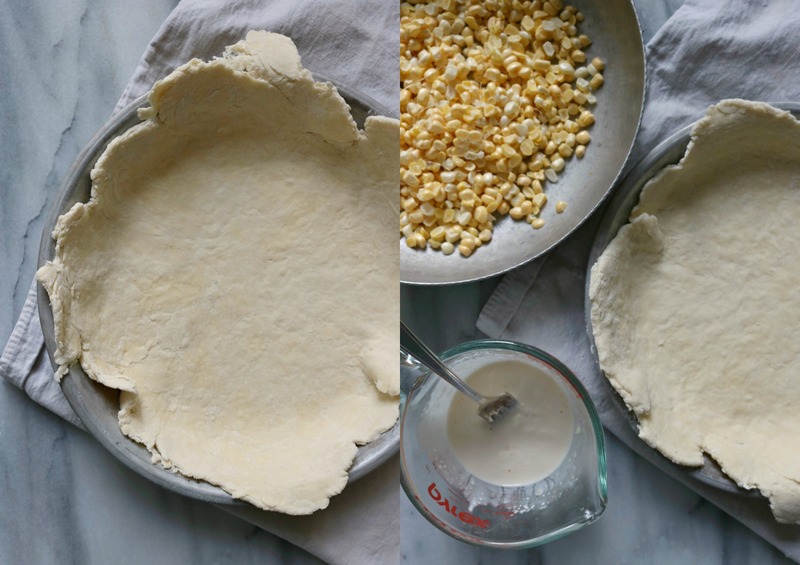 I think the rule with all pie should be: no need to strive for perfection. The bit of lemony, garlicky mayo is pure brilliance. 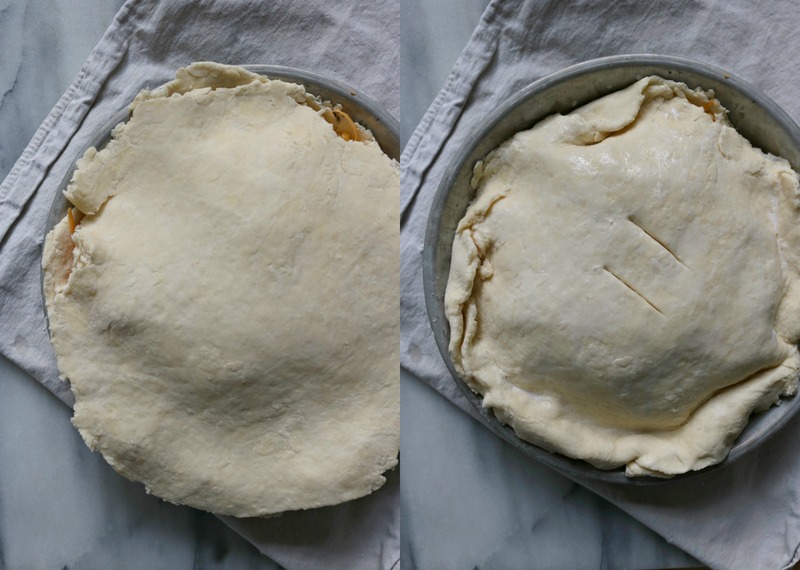 This pie is divine – it tastes like summer, the best of it, wrapped in dough and baked, which is something you’d more likely do once the days turned chilly, so it’s more a transition food, easing you into fall with crusty dough. And how brilliant would a biscuit peach pie be? 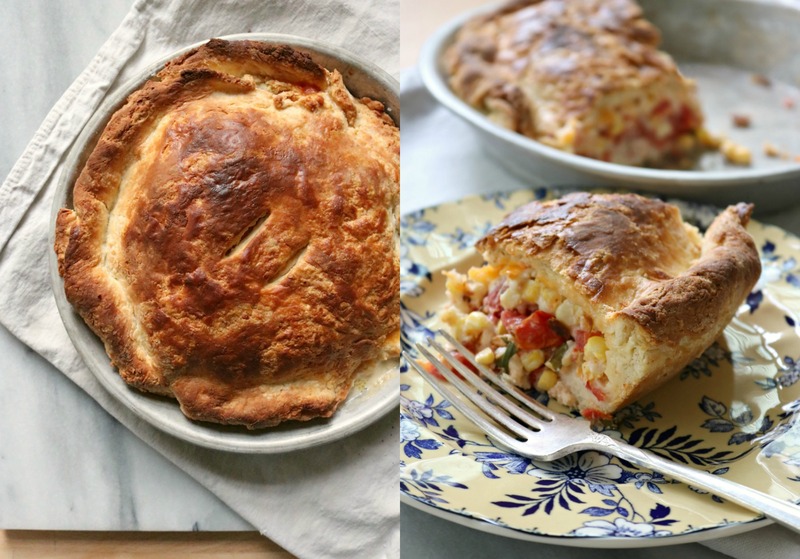 Like cobbler meets pie. The peaches are fab this year, too. But. Try the tomatoes and corn, while they’re here. Plus this is excellent. (Though I was forced to confront the fact that since we moved in 2005 I have not seen or looked for my rolling pin. Embarrassing. I used a small pizza roller and also a wine bottle.). I just tried this recipe and it was delicious! I would never have thought to try it but you made it sound so good and it did not disappoint. Thanks!